4 vector images with colorful concert rays, people silhouettes and microphone. Free for commercial purposes. 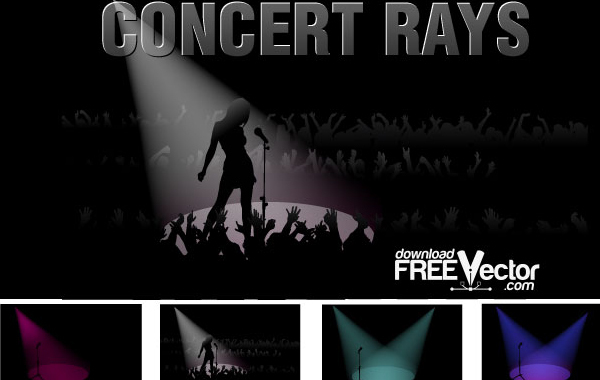 Download free vector Vector Concert Rays.